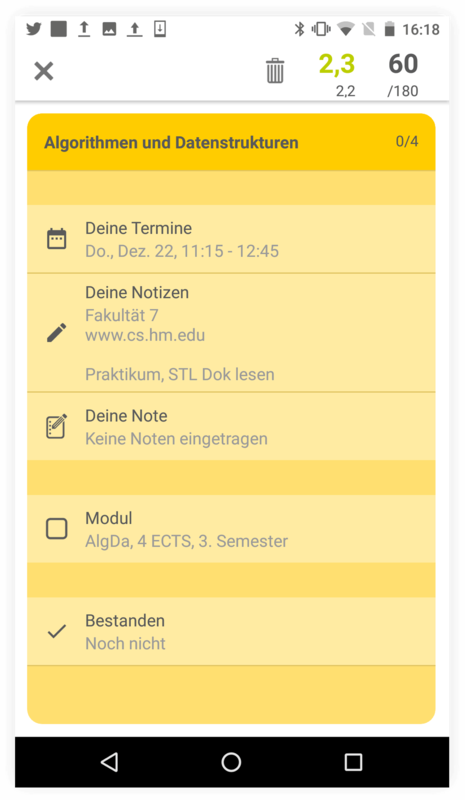 Module.org helps students manage their studies and reach their study goals. 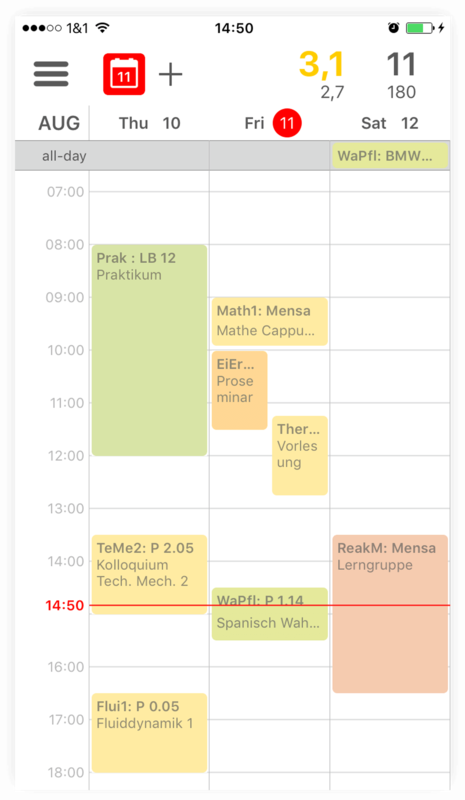 Students can download study plans and keep track of grades and lecture times. Based on a deep learning algorithm, Module.org suggests suitable Master programs for the student. 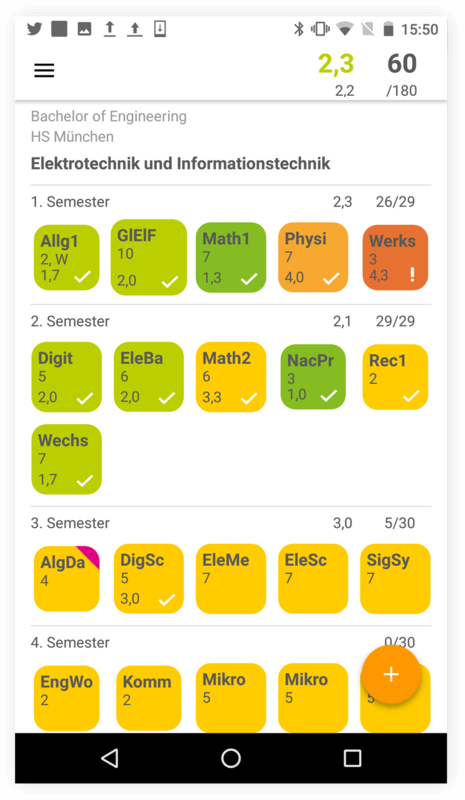 With Module.org, students always know their grade averages, which subjects they need to take, and have an easier time finding a Master that excites them. 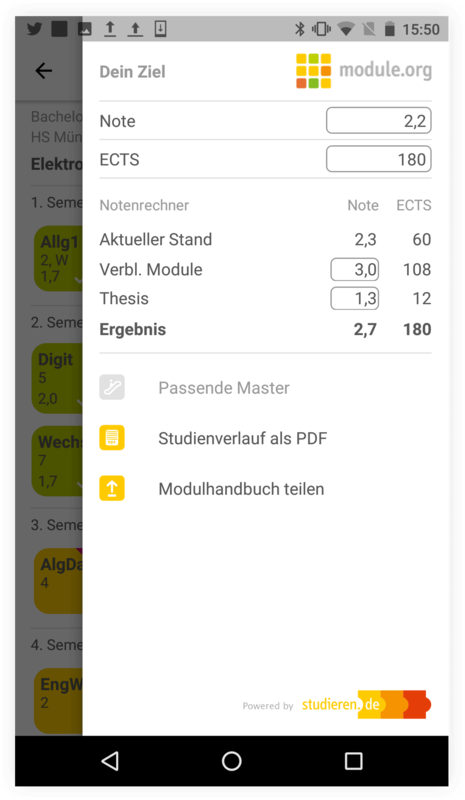 We developed the Android and the iOS app of Module.org in collaboration with xStudy, Germany’s biggest study provider. We worked closely with xStudy CEO Valentin Peter and his team on a shared mission to help students achieve better study results and find their passions early in life. Weekly brainstorming sessions and regular usability tests with Valentin and his team were key to forming the intuitive user experience of Module.org. We helped xStudy to turn their design drafts into a truly native Android and iOS app experience. Since then we continue to add new features and improvements to Module.org.